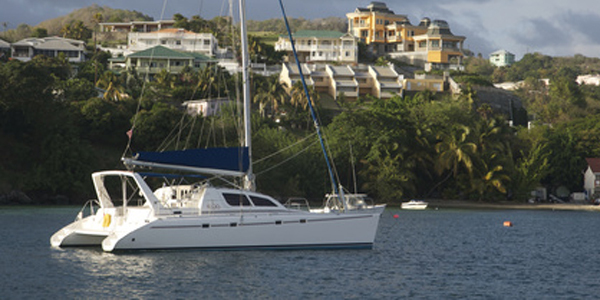 CleanAHull™ Ultrasonic Antifouling Systems are ideal for the protection of your catamaran hulls and can help maintain your hull speed through the water. With a clean hull your vessel will maintain performance and manoeuvrability while saving money and reducing passage times with less drag. When your hull is fouled it can take 30% + more fuel or energy to push through the water while also taking longer to arrive! 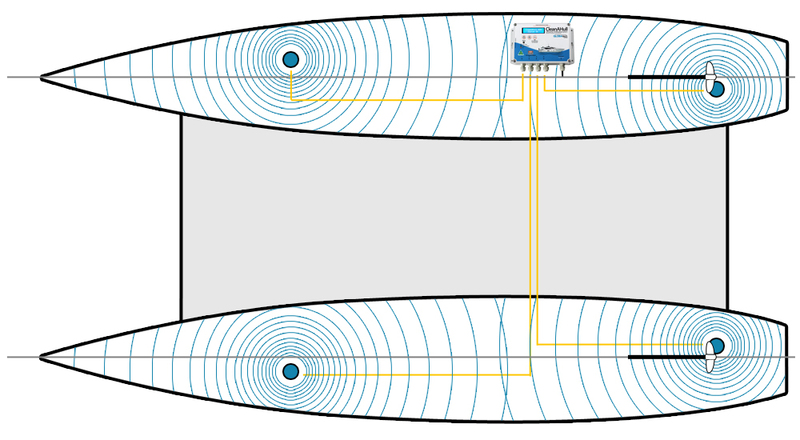 The CleanAHull™ Ultrasonic Transducers are installed in strategic locations throughout the inside of your hulls to provide the best transference of ultrasonic energy into the hulls. This energy is then dissipated out into the water at a 180° arc from the hull itself providing bio fouling protection. 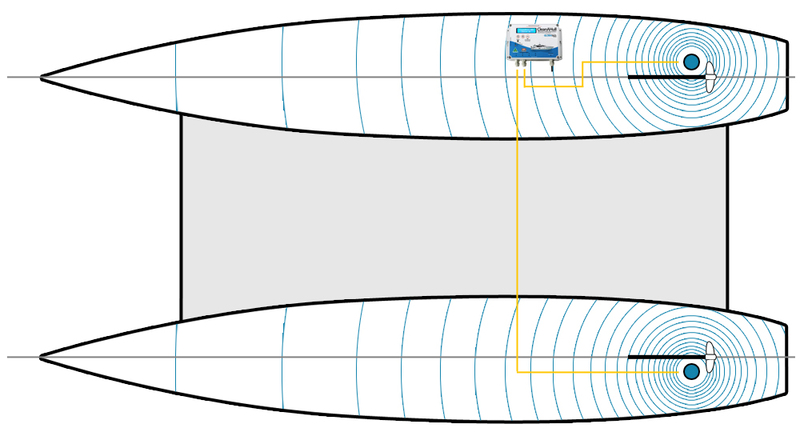 Ultrasonic transference is best through solid objects that the transducers are directly attached to and there will be some attenuation (loss of signal) when ultrasound attempts to transfer to acoustically isolated items (sail drives, shafts, rudders, etc). CleanAHull™ ultrasonic transducers can be installed directly onto isolated items such as rudders (tiller / shaft), sail drives, thrusters, etc for ultimate protection of these devices. Optional – extra transducers for added protection with a Quad device. Consideration should be given to targeted protection for rudders, thrusters, keels, etc. Contact Us below for help with this.